1.5% unlimited cash back is not bad. $150 bonus cash back for $500 is good. Your cash back rewards don't expire. You can gain extra bonus cash backs with inviting your friends. You gain cash backs automatically and fast. The card is not profitable despite of rewards and bonuses because high interest rates and fees... Especially with a good credit score, you can get much better cards than this. High fees for Cash Advance. APR for purchases and balance transfers could be at better rates. 3 percent more payment at foreign transactions. 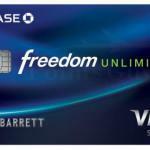 Chase Freedom Unlimited Credit Card is a cash back credit card which will help you to earn rewards unlimitedly. You are not going to pay interest for 15 months for balance transfers and purchases. There is also no annual fee of the card. Your cash back rewards are permanent and they are not going to expire. Balance transfer fee of the card is good. However cash advance fee and APR is high. There is also foreign transaction fees of the card. If you ever use this card abroad or if you purchase items from abroad (with foreign currency), you are going to pay 3 percent more for every products that you purchase. Also see: Is Chase Freedom Unlimited Profitable? You can get $100 bonus with inviting your friends. You earn cash backs automatically and fast. Please, see rates of Chase Freedom Unlimited Credit Card below. You can also see user reviews and editor scores. Bonus: $200 when you spend $500. None 3% $38 $10 or 5% 26.99% $5 – 3% 0% for first 15 months. You can review this card in the comment section below. Our user reviews are determining scores of cards and also rankings. If you would like to help other consumers about this card, please leave a fair review below. We are going to approve your review after we moderate it. 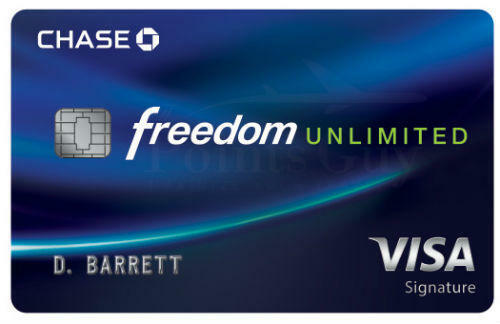 Next articleIs Chase Freedom Unlimited Profitable?